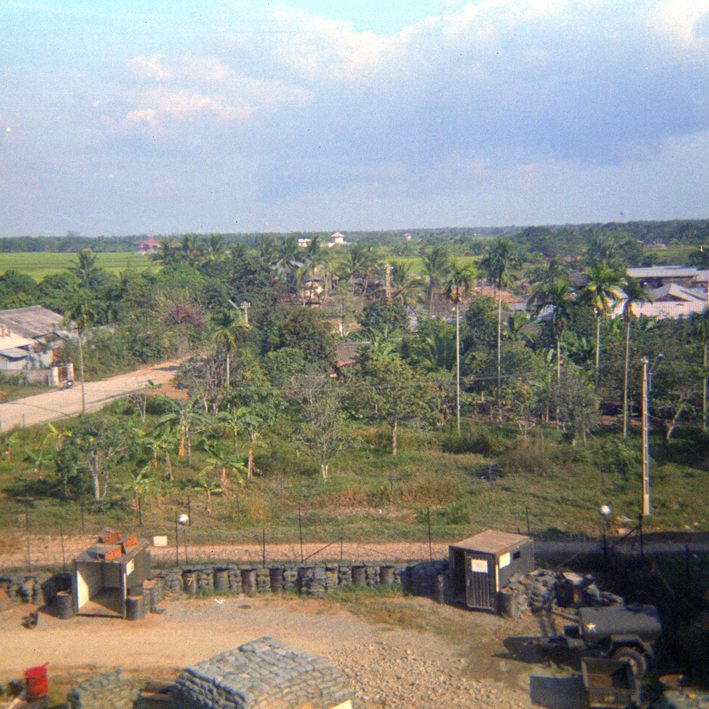 A view of the compound from the roof of the “MP villa.” Note the road to the canal, the perimeter, bunkers under construction, and the V-100 in a revetment. View from the roof of the villa, toward the rice paddies to the east. The author with a Cambodian flag following the invasion of Cambodia in May 1970. 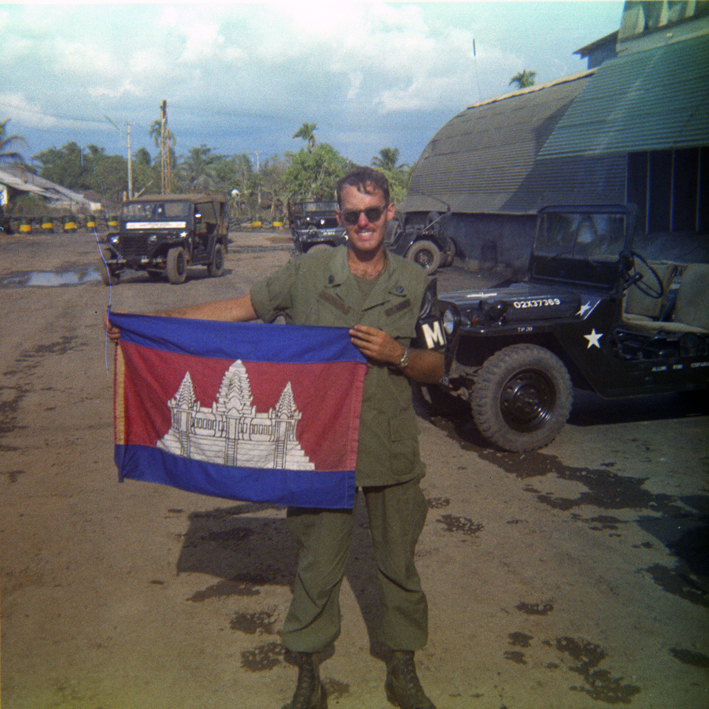 The flag prop was provided by a returning ARVN (Army of the Republic of Vietnam) soldier at the cost of a case of beer. 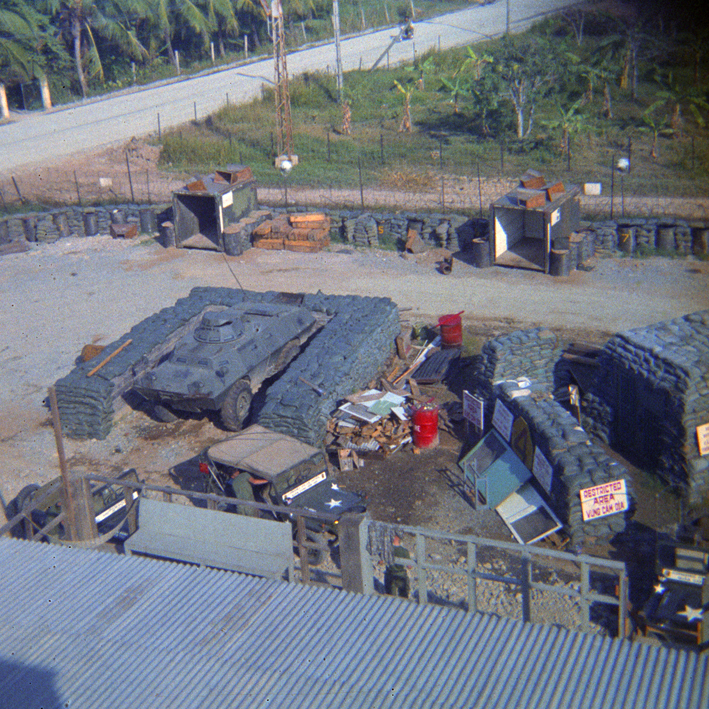 More than flags disappeared from Cambodia during the invasion. 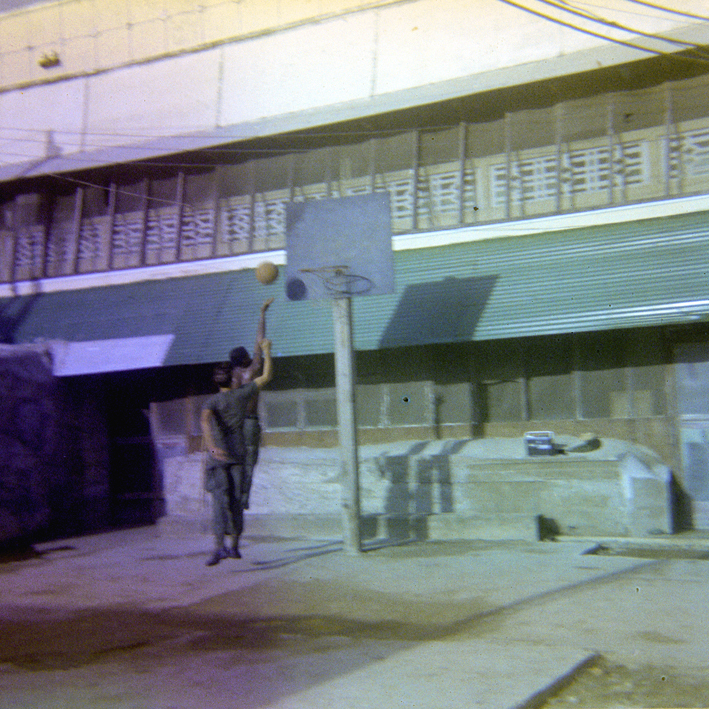 The exterior of the “MP villa” and our basketball goal.